The Diocese of Knoxville has adopted the curriculum standards from the state of Tennessee for social studies. To view the 7th Grade standards, click here. 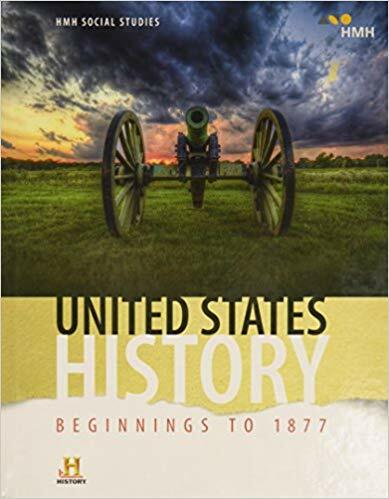 Saint Joseph School employs United States History from Houghton Mifflin Harcourt. Click on the 7th Grade textbook below to visit the online textbook. Seventh Grade Geography syllabus and pacing guide is listed below. Below are helpful links to supplementary material for our unit on the United States and Canada. For informative, if somewhat silly, You Tube Videos that will aid in learning the names and locations of the 50 states of the United States and their capitals, I have listed links below. Niflty Fifty United States. Click here. Capitals of the 50 States. Click here. Below are the description and rubric for the Geography Scrap Book students are to complete in Geography class. Handout with Latin America Travel Brochure instructions you received in Tech Lab and discussed in our Geography Class. CIA Fact book Click here. World Map Information Click here. World Geography Review Click here.